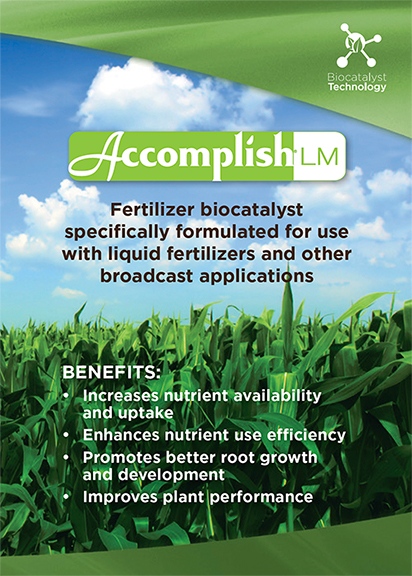 Accomplish LM is an innovative biochemical fertilizer catalyst that increases nutrient availability and improves plant performance. It is specifically formulated for use with liquid fertilizers, manures and other broadcast applications. Learn how the proven technology in Accomplish LM helps growers get more out of their crop fertility programs.